This is a subject on its own right, it has caused me many problems to be storted out to get reliable operations, I will try and keep it simple, there are two main types of electronic retracts on the market. E-Flite and Hobby King types, I have used both with mixed results my findings are as follows. E-Flite These seem to be OK, however the wire leg can bend back quite easily causing clearance problems in the wheel well, the grub screws holding the leg in place need to be replaced with good high quality steel types, longer if available to allow greater depth for the Allen key, also please use good quality keys or you could have problems later on, I have used these on my Me 262 and they now work very well, the only other factor is they are not very scale looking. Hobby King type. Again these seem OK, but they can be rather fragile the positive side is that there is a huge range to choose from and also look very scale like, again I would remove and replace all grub screws with high quality ones longer if possible and do not forget Allen keys. The next area is the connecting pin between the servo unit and the leg, these need to be replaced with high tensile pins as the ones fitted always bend, better if they are 3mm diameter drill and replace with 4mm pins. 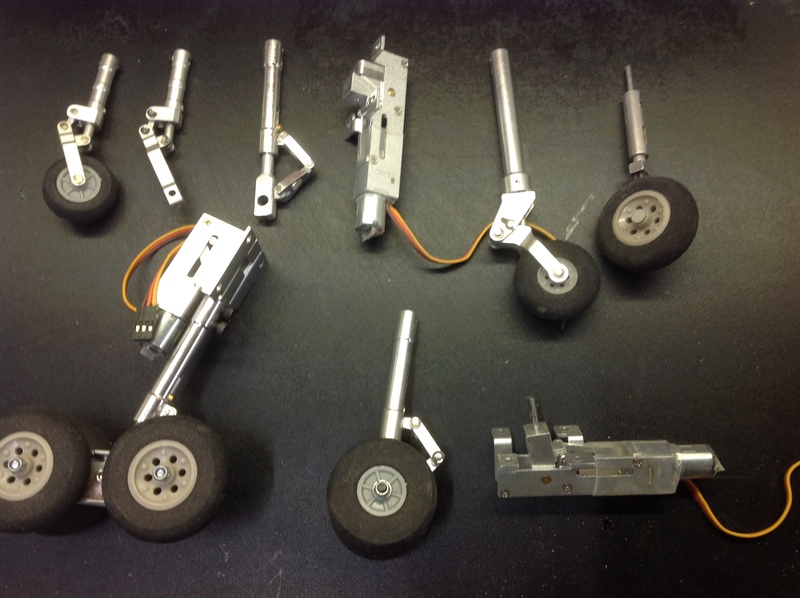 You may also have to replace wheels and pin assembles. Overall they are not that bad, but as I said they are rather fragile, if you take one apart you will see they look good, but have been built for a price, I always order a spare at the same time just in case. anyway you pay your money and take your choice, another point if possible always order the next size up, ie retracts are normally sold for the weight of the model or engine size, this should help in reliability, I hope this gives you some ideas of the way forward best of luck.